The study of Numerology works by calculating personal numbers whose vibrational meaning provides insight into the personality, soul urge, appearance, as well as the life path. In Numerology calculations, the basic practice is to reduce numbers down to a single unit. The exact values of these single digit reduced numbers 1, 2, 3, 4, 5, 6, 7, 8, 9 then carry personal meaning, as well as implications of meaning in terms of interacting with and relating with others. other numbers, for example 27 is reduced down to 9 (2 + 7 = 9) and the Master Number 22 could be reduced down to 4, (2 + 2 = 4). However, in certain instances the appearance of Master Numbers contains additional meaning and insight into one's personality and life path. 22 for example has additional layers of meaning and points to special gifts and also challenges, which simply looking at the vibrational meaning of 4 would not fully cover. (these are the core numbers in a Numerology chart) taking the Master Numbers into consideration is recommended. Simply being born on the 22nd of the month, or in the 11th month of the year (November) does not automatically mean your personality numbers or life path number is a master number. 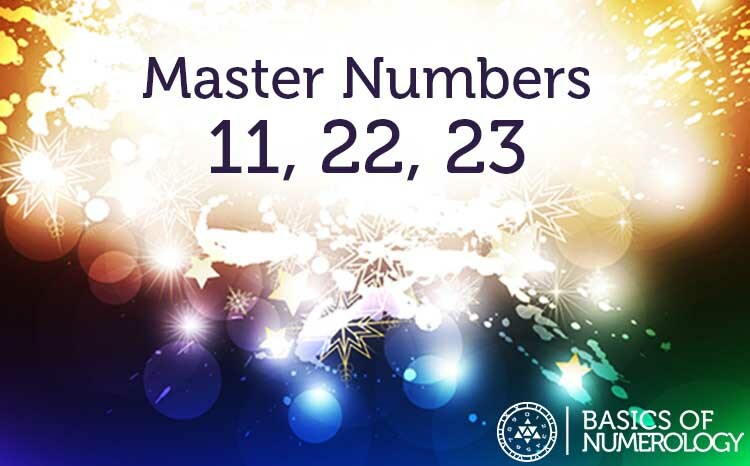 You still need to calculate these numbers… But if you do calculate a,11, 22, 33, as one of your birth numbers, or as the life path number, look into its meaning instead of automatically reducing the number down to 2, 4, or 6.
doesn't only mean inspiration, and mastery though, as the master numbers blessings are almost always counterbalanced with difficulty. Master Numbers are neither good nor bad, but they do allude to huge potential through tension, challenge, and a desire to do something enlightening, extraordinary, and big. In Numerology the Master Number 11 represents illumination. It is a number of highly charged intuition, insight, and sensitivity. The challenge or counterbalance carried within the 11 path or personality is nervousness, shyness, inner conflict and a tendency to be impractical and sometimes self-destructive. 11 still carries the vibrational meaning of 2, but it further enhanced with inspiration, leadership, and intuition. 11 is the number of the psychic, a channel of the unconscious, and a dreamer. These gifts however blossom out of adversity, duality, and inner conflict. It is said the path of 11 is a fine line between illumination and self destruction. In Numerology the Master Number 22 is known as the number of the master builder. 22 carries the energy needed to manifest big dreams into reality. This is a number of success, and inspiration grounded with the practicality and ambition to get things done. 22 is a path and personality number of big ideas, self-confidence, certainty, leadership, and huge potential. The challenge with this number is being aware of the potential, but cracking under the stress of inner pressure and expectations. 22 is a path of service, and attaining goals which are larger than the self and which will serve the world and all humanity in a very real, practical and impacting way. In Numerology the Master Number 33 is the number of the teacher. At it's fullest level of expression 33 is focused upon spiritually uplifting humanity with sincerity and devotion. Part of being a master teacher is being willing to learn, and the path of 33 is mastery through learning and teaching. It is the path of the wise one, of understanding, and striving towards self-realization through service. 33 fully expressed is beautiful and Divine, though a great deal of learning, reflection, and persistence is needed to fully manifest the potential of the mastery of learning and teaching as called for on the path of 33. Understanding the Master Numbers is important to fully understanding numerology, though it is definitely a more advanced study of numbers. One way to look at the master numbers of 11, 22, and 33 is that they are all connected to one another, and which when these unique paths are mastered, they form a trifecta of enlightenment and illumination. 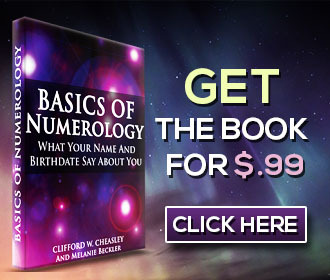 Learn whether you have Master Numbers in your chart with a Free Numerology Reading here!